Arizona is fortunate enough to offer great savings on some of the better dental plans available around the country. You can choose from family or individual dental insurance plans or Arizona Discount Dental Plans. Let’s take a look at both. Family & Individual dental insurance plans in Arizona are mainly focused on preventive care. What this means is that most of these insurance policies will cover your regular check-ups, your teeth cleaning, x-rays and most other basic dental care in order to help “prevent” any major problems from occurring. Of course, you must pay your premiums on time and pay the deductible costs associated with your dental plan. 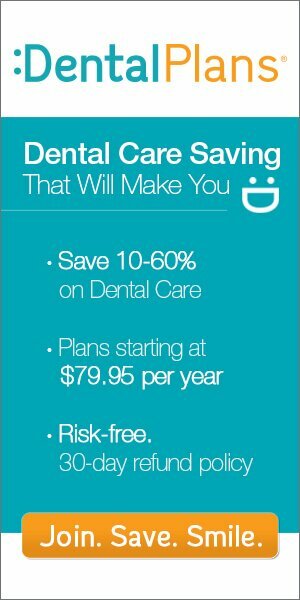 Will Dental Insurance Cover All Of My Dental Care Needs? The problem with dental insurance is that it does not cover any conditions that you already had when you bought the policy. These conditions are known as “pre-existing” and most insurance companies require you go through what’s called a “waiting” period before they’ll begin to pay for some of those costs. Most waiting periods are at least a year and even after that time has passed most companies will only pay a small portion of your care those pre-existing conditions. An example of this would be paying 10% of your total costs after one year, 25% after two years, 50% after three, ect. Am I Covered If I Have A Dental Emergency Right Now? The problem is “what do you do if you’re in pain right now and can’t afford to pay full price?” Well, there’s really nothing that an insurance company can do for you immediately. Think about this. Let’s say that you just went and paid $100.00 to start up a family dental plan and immediately need a root canal that costs $830.00. That’s a difference of $730.00 and the insurance company isn’t going to pay for it. A much better Arizona dental plan is called a “Dental Discount Plan.” These are also referred to as “Discount Dental Plans.” These plans are not dental insurance and they don’t require any waiting period for existing conditions. You can see a participating dentist within 1-3 days from the day you join the plan. This is how dental discounts work. The first thing you’ll need to do is find a participating provider in your area. After you’ve determined that there’s a provider near you then you simply join the plan by paying a low annual fee. These fees are substantially less than insurance and are as low as $99.95 for an individual and $150.00 per year for a family. The cost of the plan and discounts that you receive will depend upon where you live and which plan you choose. Fortunately, Arizona offers some of the greatest savings by using discount dental plans than most other states, with discounts between 10-60% off of both preventive AND major dental care. Phoenix, Surprise, Peoria, Tempe, Gilbert, Scottsdale, Glendale, Chandler, Mesa and Tucson. You can get more information about dental discount plans in your area by visiting Arizona Dental Plan or calling us at 1-855-214-7725.